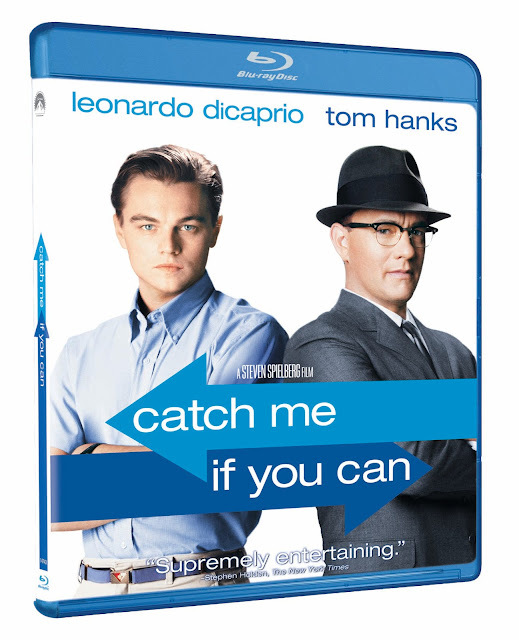 Catch Me If You Can Arrives on Blu-ray this December! The extraordinary true story of a brilliant master of deception and the FBI agent hot on his trail makes its high definition debut when Catch Me If You Can arrives on Blu-ray December 4, 2012 from Paramount Home Media Distribution. Oscar-nominee Leonardo DiCaprio and Academy Award-winner Tom Hanks star in the “supremely entertaining” (New York Times) tale of Frank W. Abagnale, Jr. as he successfully passes himself off as a pilot, a lawyer and a doctor—all before his 21st birthday. Directed by Academy Award-winner Steven Spielberg, Catch Me If You Can is a “flat-out-fun movie” (Associated Press) that lets viewers join in on a truly incredible game of cat and mouse. HOLLYWOOD, Calif. – The extraordinary true story of a brilliant master of deception and the FBI agent hot on his trail makes its high definition debut when Catch Me If You Can arrives on Blu-ray December 4, 2012 from Paramount Home Media Distribution. Oscar®-nominee* Leonardo DiCaprio and Academy Award®-winner** Tom Hanks star in the “supremely entertaining” (New York Times) tale of Frank W. Abagnale, Jr. as he successfully passes himself off as a pilot, a lawyer and a doctor—all before his 21st birthday. Directed by Academy Award-winner Steven Spielberg, Catch Me If You Can is a “flat-out-fun movie” (Associated Press) that lets viewers join in on a truly incredible game of cat and mouse. 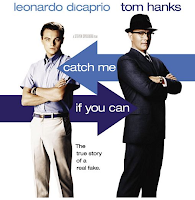 The Catch Me If You Can Blu-ray includes a digitally remastered version of the film plus over an hour of bonus features that delve into the casting, filming and real-life story of the man who inspired the movie. In addition, the disc includes a look at the musical score, an exploration of the FBI’s perspective on Frank Abagnale and multiple photo galleries.